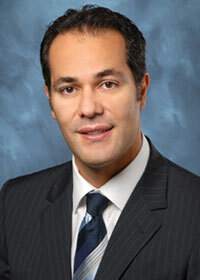 La Peer Health Systems surgeon, Dr. Mani Zadeh, utilizes a medical algorithm to find the best combination of techniques to achieve the best results possible. After years of experience as an Otolaryngologist-Head and Neck Surgeon, Dr. Mani Zadeh, a ENT surgeon at La Peer Health Systems in Beverly Hills, has developed his own algorithm in which he tracks patients to find the best combination of medical techniques to get the best possible results. To assess his patients, Dr. Zadeh quantifies his data and converts it into an algorithm to find trends or patterns. This greater insight into his patients’ disorders allows him to better diagnose and treat their specific conditions. “I have found that by examining my patients’ journey through an ear, nose or throat disorder, I am able to look at the patterns in their condition and then provide them with a comprehensive solution to get optimal results,” said Dr. Zadeh. Every 6 months Dr. Zadeh reassesses his patients’ data to look for trends, patterns, or anything else that will help him to improve his treatment strategy. Dr. Zadeh believes in implementing strategies that treat the source of the disease rather than treating only the symptoms, and in treating the whole patient rather than only the disorder. “Analyzing my patients’ conditions over a period of time allows me to provide treatments that are truly what the patient needs,” explained Dr. Zadeh. In treating his patients, Dr. Zadeh takes into consideration all medical and surgical options and works closely with each patient to develop an individualized plan of treatment. La Peer applauds Dr. Zadeh’s innovative medical algorithm, as it provides patients with the most specific and beneficial treatments. In addition to Dr. Zadeh, all of the surgeons at La Peer Health Systems utilize techniques that are cutting edge and at the peak of medical technology. La Peer prides itself in providing patients with the most advanced surgical options available. La Peer Health Systems, located in Beverly Hills in Los Angeles county, focuses on excellence in patient care, offering the most advanced treatments and equipment that the medical world has access to. With 42 doctors across 13 departments, from anesthesiology to urology, La Peer offers comprehensive and widespread medical treatments for all patients. More information about La Peer Health Systems can be found at http://www.LaPeerHealth.com.